If you haven't cleaned your gutters, or notice plants and flowers growing out of them, It's time to find a local and conscientious gutter cleaning company to clean them out for you. 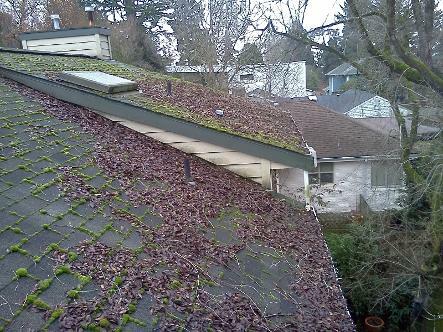 We can remove the debris from your gutters and allow them to function properly. 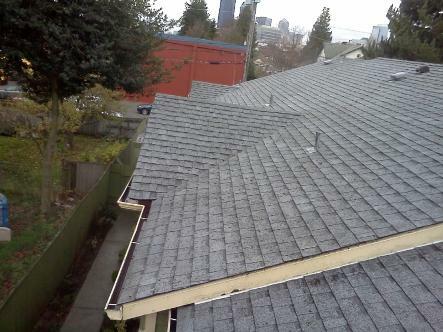 We are a local, licensed and insured Seattle gutter cleaning company. We can safely clean out your rain gutters, make sure the downspouts are clear and leave your home and property without a mess. 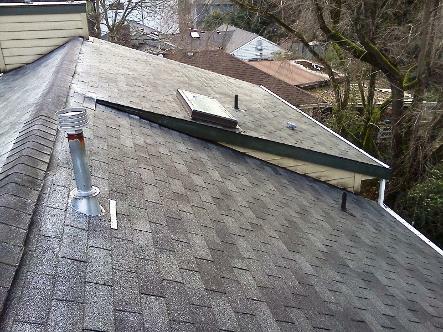 Our low cost, single story gutter cleaning price starts at $100.00. 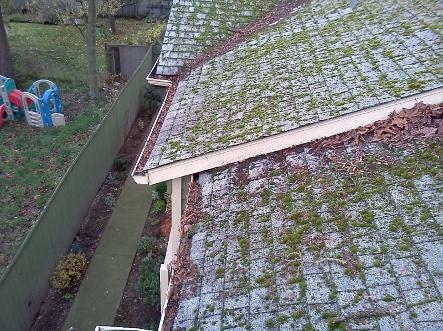 As an additional service we can blow the leaves, branches and needles off your roof to help prevent the gutters from filling up sooner then necessary. Call (206) 355-2349 For A Free Over The Phone Estimate.